It’s a great time to stock up on deer corn at our Truckload Whole Corn Sale at Farmers Coop in Elkins, Fayetteville, Lincoln, Springdale, Arkansas. 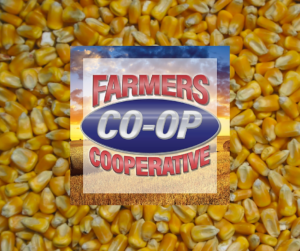 The Deer Corn Sale runs October 5th and 6th at Farmers Coop locations in Decatur, Elkins, Fayetteville, Lincoln and Springdale, AR. This corn is triple-cleaned corn that won’t plug up feeders, unlike other cheaper combine run corn. Deer corn is an overall favorite for whitetail deer, and it is a favorite among most hunters as well because of its low cost and high effectiveness. Whether used in a feeder or simply put in a pile on a high traffic area, deer corn can be a great way to attract deer. Come on by our store today and pick up your Whole Deer Corn. We also carry a large selection of wildlife feeds, attractants, blocks, and food plot mixes. If you have any questions about the products we offer, give us a call in Elkins at 479-643-2004, Fayetteville at 479-521-4144, in Lincoln at 479-824-3288, or in Springdale at 479-756-9337. We are always ready to assist you at Farmers Coop. Sale valid October 5-6, 2018, at Farmers Coop in Lincoln, Fayetteville, Springdale, and Elkins, Arkansas only. This entry was posted on Thursday, September 20th, 2018 at 11:37 am	and is filed under Events, News & Updates. You can follow any responses to this entry through the RSS 2.0 feed. Both comments and pings are currently closed.